Achieving the perfect shoe fit entails finding the perfect shoe size and width. Shoes with an ideal fit support the musculature and bone structure of the leg and foot, thereby ensuring foot health and painless wear. We’d like to dispel an extremely common misconception: ‘shoe fit’ doesn’t merely encompass shoe size, but rather a combination of size and shoe width. Both need to be accounted for in order to achieve a perfect shoe fit; shoe fit, therefore, relies on far more than the length of a shoe. A shoe is said to have a perfect fit when the toes can move freely and aren’t jammed against the front of the shoe. A perfect fit also means that the heel doesn’t rise out of the heel counter, that the shoe offers solid support beneath the middle of the foot, and that the foot doesn’t slide forward inside of the shoe. Moreover, a long heel cap should be in place to provide optimal protection for foot ligaments—the cap holds the heel and prevents sprains. In sum: shoe fit is determined by shoe width, distance of the heel and the shoe tip from the ground, shape of the shoe last, overall construction of the shoe, and shoe type. Those who don’t fit into straight shoe sizes can still find a perfect fit by opting for large- or small-size models. Proper shoe fit is a great boon to healthy feet. Frequent athletic shoe wearers will initially find leather shoes stiff and unyielding; these individuals swear by the soft embrace of their sneakers. However, those who choose Goodyear-welted men’s shoe’s will experience far less foot discomfort after a day of wear than will those who choose sneakers; the former offer an ideal fit so their wearer’s feet don’t get tired as easily. Last but not least: commonly accepted dress codes deem sneakers inappropriate for most occasions. 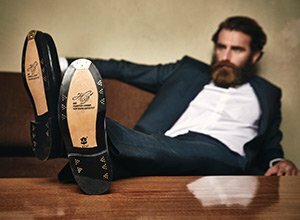 There are many kinds of high-quality men’s shoes, made using various production methods; among classic men’s shoe types, there’s something for everyone. Ultimately, given the diversity of foot shapes and sizes, it’s up to the wearer to recognize perfect shoe fit. Nevertheless, a good deal of groundwork is laid to create a perfect fit, beginning with shoe manufacture. A look back at shoe history reveals that the techniques in question have been in use for quite some time. And, as shoe fit supports foot health, the wearer supports shoe longevity by administering proper shoe care. Whether large or small, identifying the correct shoe size is indispensable to wearing comfort, shoe fit, and foot health. There are a number of sizing systems, which can create difficulties. Simply finding the correct shoe size isn’t enough to find the right shoe. Identifying the proper shoe width for accommodating the front of the foot is equally important towards achieving ideal shoe fit. Men’s shoe sizes greater than a 47 are considered large sizes. Up until recently, options in these sizes were limited. However, due to rising demand, this is poised to change. Men’s shoe sizes smaller than a 40 are considered small sizes. There tends to be little on offer in this size range. 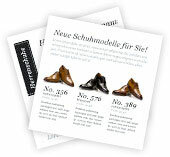 Cobblers and unisex shoe models can provide additional options. Various shoe sizing systems are used around the world. From the Paris point to Japanese linear measure, one needs to convert between systems when faced with an unfamiliar one.